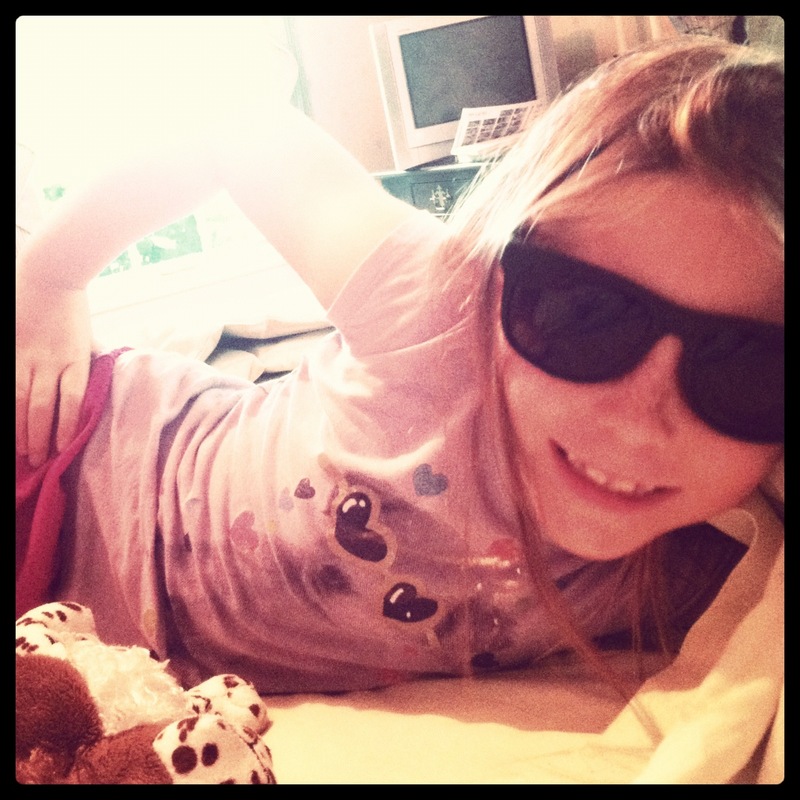 In between babysitting this little rugrat, I’ve been cooking up some fab recipes from a few fab blogs that I read daily. I love Mondays because I know there will be new recipes to drool over and thus new foodgasms to follow once I make them. I mean I don’t know who I love more. This girl or this avocado basil cream? Let’s start with the eats since they’re supposed to come before the treats. 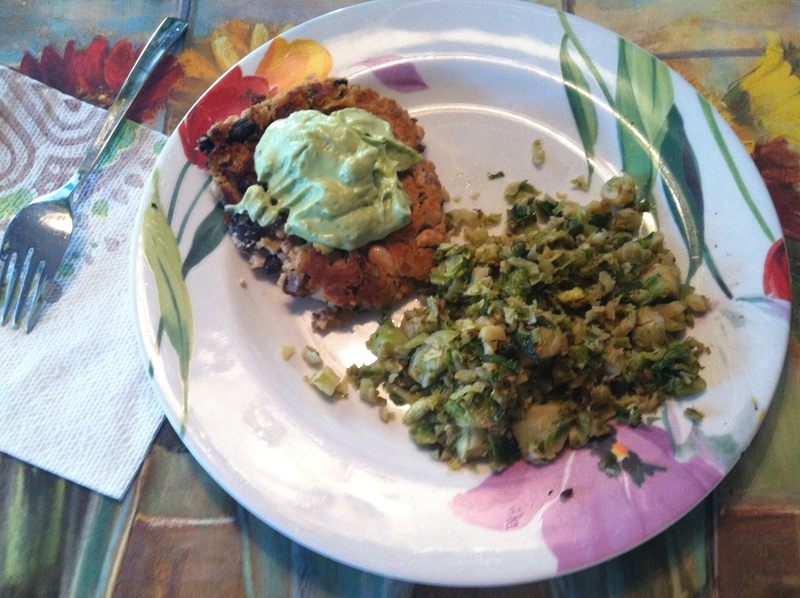 Jessica’s double bean burgers with avocado basil cream are STUPID good. STUPID. My mom and dad and I agreed that you could put that sauce on a sock and it would still be unreal. I even used greek yogurt instead of sour cream. It was super easy and I intend to put it on everything from pastas to wraps to salads. The burgers were delicious as well–don’t omit the smoked paprika. Kills it. Next up is another one of Jessica’s recipes from howsweeteats.com. 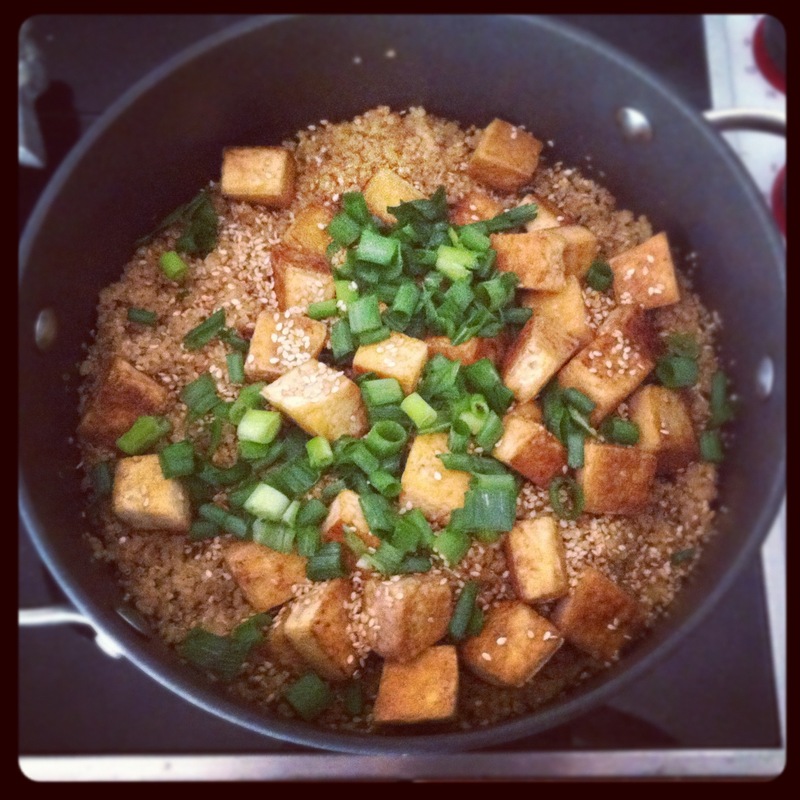 Toasted sesame quinoa with chicken, except I used tofu. Make it. P.S.– I apologize if you follow me on instagram (@Hummusapien) and have already seen most of these pics. Next is Trader Joe’s tahini sauce. This isn’t a recipe from another blog; it’s just amazing on salads and I encourage you to buy it immediately. 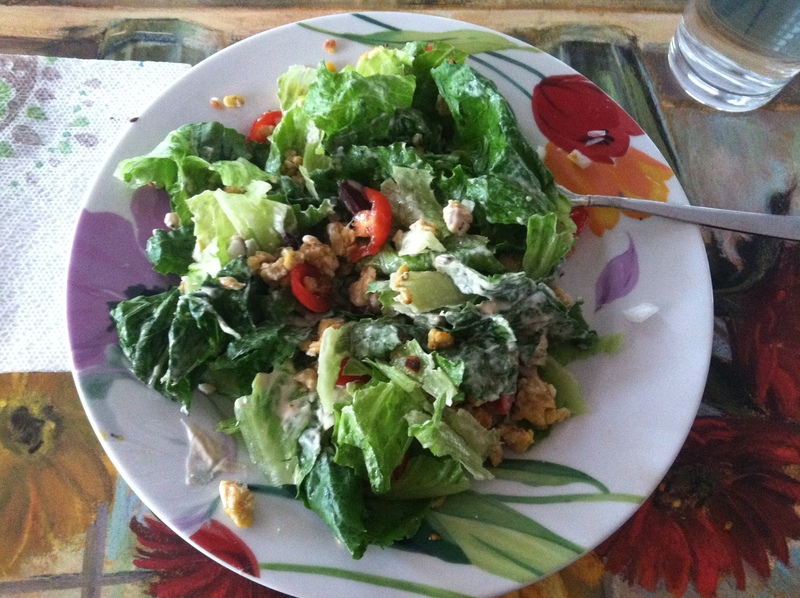 Pictured below is the tahini sauce smothered all over a romaine salad with pan-“fried” tempeh, tomato, onion and kalamata olives. And now for the treats. First, the loaf of all loaves: Daily Garnish’s blueberry walnut banana bread. Whole wheat and perfectly moist though it has NO butter/oil. I used chocolate chips instead of the blueberries. It’s a very simple recipe; however, I did have to cook it much longer than recommended. Also, Jessica’s chocolate chunk oatmeal cookie bread. I used almond milk + lemon juice in place of the buttermilk. Delicious. No picture, my apologies. 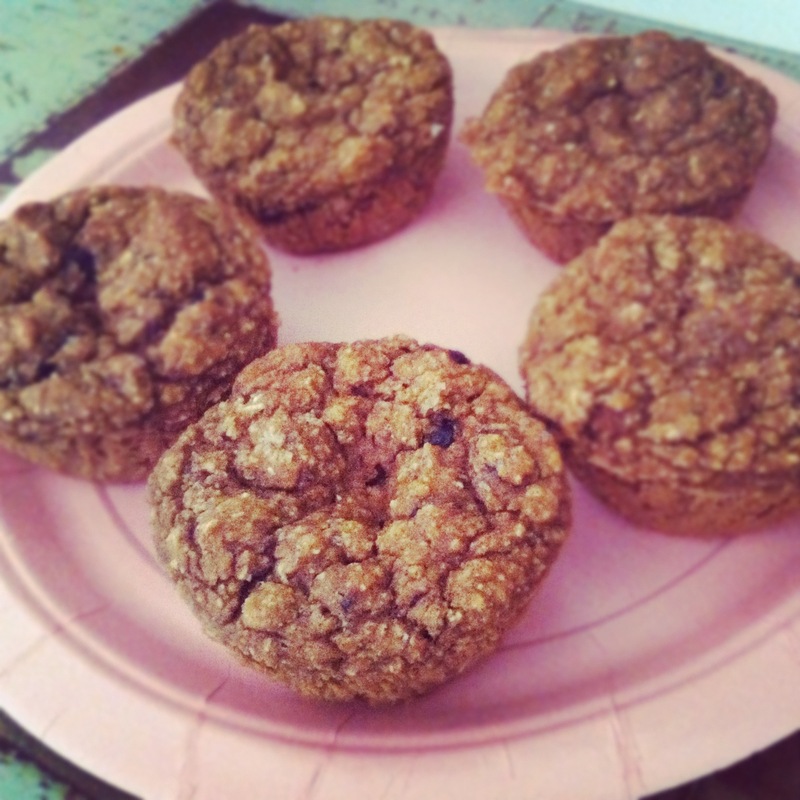 Next, Dashing Dish’s moist pumpkin protein muffins using Garden of Life’s raw protein. In addition to be delicious and packed with protein, they have no added sugar. I made six muffins and instead of using sugar, I used six packets of stevia and blended five small dates into the batter. I had to cook these a lot longer than recommended as well. 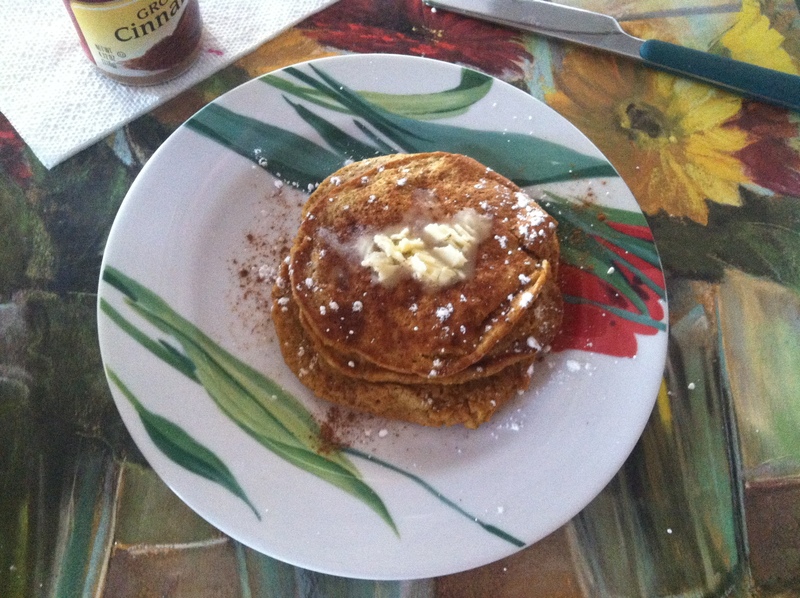 Since I had lots of leftover pumpkin, I made her pumpkin spice protein pancakes this morning for breakfast (sweetened with stevia). They kept me full for about three hours, which is an accomplishment. 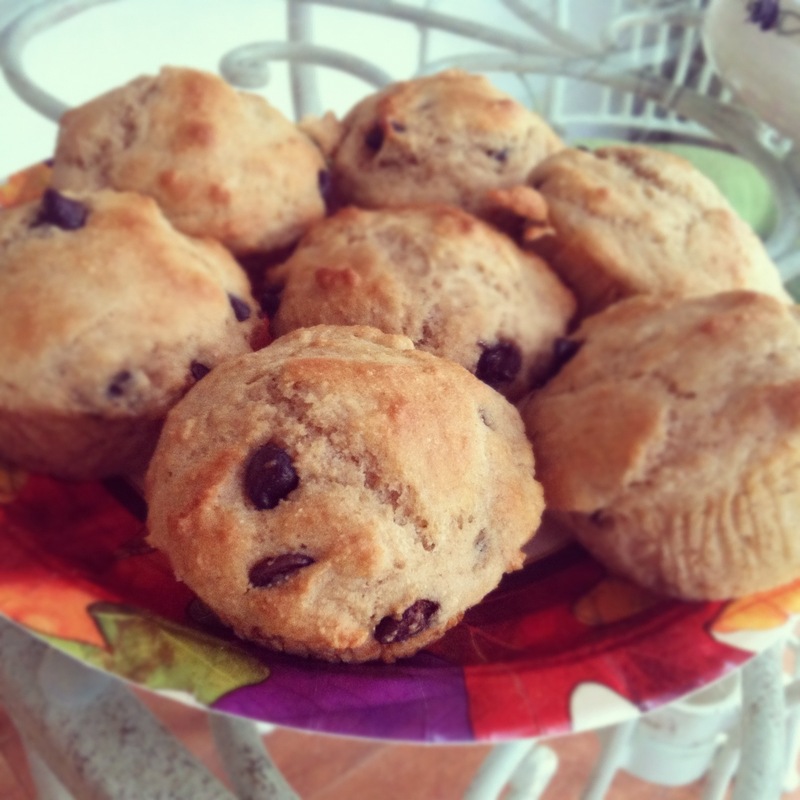 Tonight I wanted to make muffins and found this random recipe for chocolate chip muffins. I used all whole-wheat pastry flour instead of using both white and whole-wheat like the recipe said. Other than that and using almond milk instead of skim, I followed the recipe exactly and these muffins were PERFECT. Super moist–presumably from the yogurt (I used greek and added a tad more brown sugar). You would never ever know that they only had 133 calories and 2 grams of fat each. 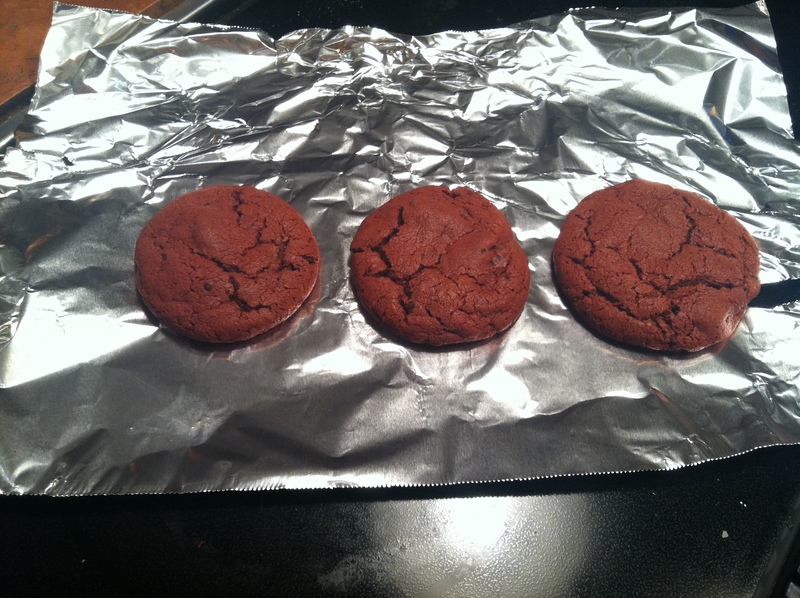 And now for the red velvet cookies. Lots of white flour, sugar and butter. Lots of yumminess and less healthiness for the 4th of July. These were perfect. 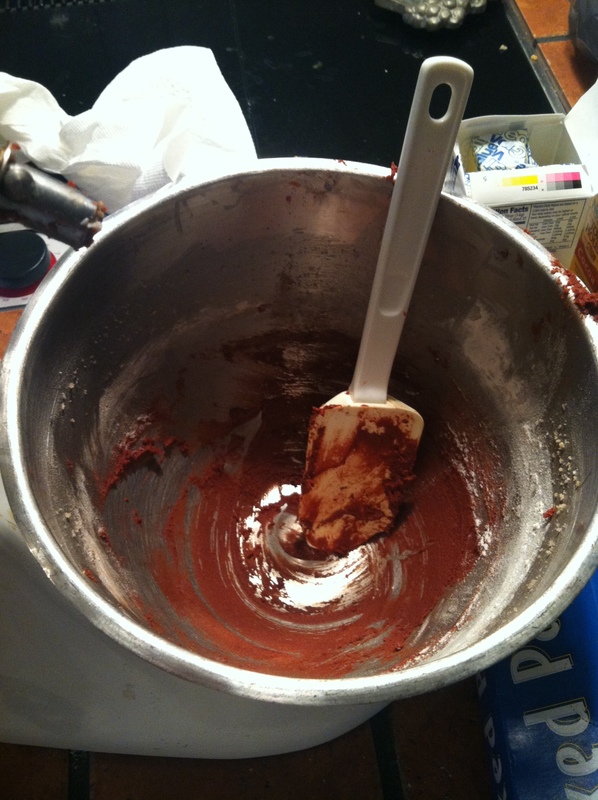 Make sure you use an electric stand mixer if you make them and cook them for 10 minutes, not 12. Please go make some of these awesome recipes! And lick the mixer afterwards.